Dogs have a much higher sensitivity to sounds and the ability to pick up a larger range of frequencies than we do. That means that sounds that are almost indiscernible to you are booming sounds for your pup. Loud noises like those from fireworks, car horns, screaming children, loud music, clanking pots and pans, or even the sound of thunder can leave him disturbed and anxious. As well as these extra loud sounds, a number of other situations can make your dog uncomfortable, anxious, or even scared. These could include being separated from you, car or air travel, crowded places, being around strangers or other dogs, and vet and groomer visits. Wrapping your dog up is a safe and effective method that can help in alleviating his anxiety. Placing an anxiety wrap around your dog’s torso in such a way that there is a gentle and maintained pressure applied to his chest, sides, and back can be a comfort to him. Wraps serve as soothing, calming hugs that help pacify anxiety in dogs. We talk about anxiety and the causes and effects of it in dogs. Also, learn how wraps are now being used effectively for managing anxiety in dogs. Lastly, you can find out how to wrap a dog for anxiety successfully. Anxiety in dogs can be triggered by various causes. These include loud sounds, separation, grooming, travel and being around unknown people or dogs. While anxious, dogs can exhibit a number of symptoms. These signs are often easy to identify like panting, shaking, whining, barking, drooling incessantly, cowering, or even hiding. They can be restless and can attempt to run and get away from the source of anxiety or they can find comfort in being close to you and can constantly follow you around. Anxious and nervous dogs can be difficult to manage and it can be a challenging task to calm and relax them. In order to address your dog’s anxiety the first step is to understand the reasons for his unease. Evaluate any precursors to his anxious behavior while also trying to identify any changes in his environment that could be causing him nervousness. It is important to create an environment for your beloved pooch where he feels safe and relaxed as high anxiety can leave him miserable. In the presence of something that is stressful for him, you can try to soothe your pup by calmly stroking him and reassuring him of your presence and his safety. You can also play soothing music to help calm him. However, it is not always possible to avoid situations that make your dog anxious. 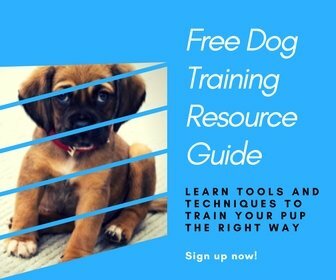 The best course of action for managing and overcoming your dog’s anxiety in stressful situations would be a combination of different methods. Taking the assistance of an experienced dog behaviorist to help with his training and behavior modification during stressful situations can be an effective means to teach him to remain calm in stressful environments. You can also consider consulting a veterinarian for suitable anxiety medication for your pup. Another well-known method for calming your dog if he is anxious is to wrap him in an anxiety wrap. By swaddling your dog in fabric that covers his upper body, you can provide him with a mild pressure that hugs him at his chest, back, and sides. This can help him feel comforted and safe. Wraps provide a reassuring weight and target specific pressure points on your dog’s torso. They are akin to you hugging or petting your dog with a gentle pressure to soothe him. There are a number of wrap products available that you can buy for your beloved pooch. Some of the products reviewed to be highly effective are Anxiety Wrap or the Thundershirt. You can also make your own anxiety wraps for your pup using materials available at home, like bandages, old t-shirts, or even scarves. Using something that smells of you can have an additional soothing effect on your dog. A clinical research study, conducted by the Tufts Cummings School of Veterinary Medicine, on dogs suffering from thunderstorm related anxiety found anxiety wraps to be 89% effective in relieving stress in dogs. They also concluded wraps to be a safe and effective means of treating thunderstorm fear in dogs. While its overall effectiveness is yet to be scientifically proven in other types of stressful situations for dogs, many dog parents have found this method to have definite merit in calming dogs during anxious events. Additionally, using wrapping to relieve anxiety has no adverse effects on your dog and does not need any professional guidance while administering. If you are choosing the wrapping technique as a means of anxiety management, it is important that you familiarize your dog with anxiety wraps and dissociate these wraps from stressful situations. This can be done best by putting him in them while in a variety of environments and situations, especially pleasant ones. It is also important that you limit the use of these wraps and do not keep your dog in them too long because if he gets habituated to the constant pressure, its effectiveness is likely to be diminished in case of a stressful situation. The method to swaddling your dog in an anxiety wrap at home is known as a “half wrap”. This process is simple, effective, and easy to do yourself. Start by placing the center of the fabric across your dog’s chest. Make sure the thickness of the fabric is suitable for your dog’s size, narrow if he is a small dog and broad if he is big. Bring the ends of the fabric over his shoulders and cross them. Take the loose ends of the fabric under his chest and stomach, crossing and bringing them back up over the back. Finally, tie the loose ends in a secure knot over the lower back but away from the spine. See that you are able to slide your hands underneath all areas of the wrap, ensuring that it is cozy but not constricting. Wrapping your anxious dog can help calm his nerves, or at least take the edge off his anxiety. Since continued stress and anxiety has the potential to cause serious health complications or result in your being hurt in an attempt to run or hide, it is important to take action as soon as possible. Being simple and available on hand in a pinch, this half-wrap method can help you soothe and calm your dog and potentially save his life in extremely stressful situations.